Have you seen the new Star Trek movie yet? I have! 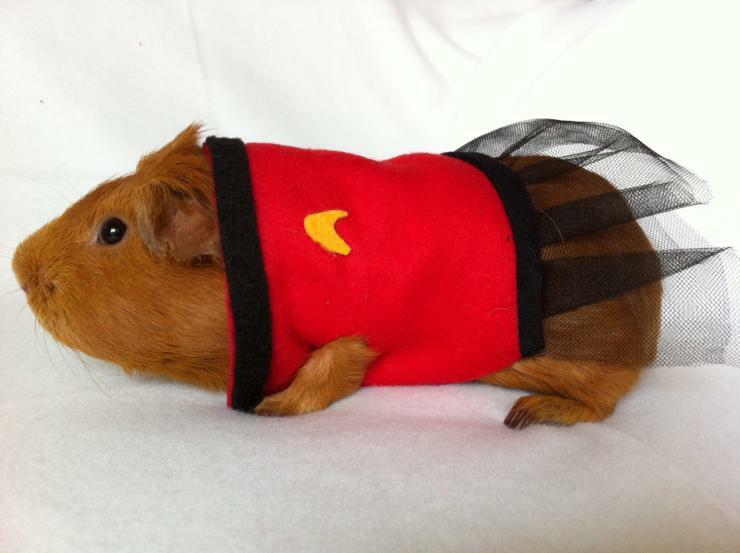 A guinea pig dressed in a Star Trek uniform (complete with little skirt)! If only I had sowing skills, or guinea pigs that tolerated clothes for pictures. I did enjoy Star Trek Into Darkness. I have never seen the old movies, and hear it borrows some plot points, but it is worth watching if you are a fan.